RESEARCH is demonstrating that a single banding of phosphorus and potassium can boost crop yields. But how long does deep-banded phosphorus last in the soil and how much impact does it have on the yields of different crop types in deficient Central Queensland paddocks? Insights into these questions may soon be offered thanks to a deep-banded phosphorus trial at Dysart, where this season there have been dramatic differences between chickpea crops on trial sites compared to control plots. The long-running trial is part of ongoing research investment by the GRDC, the University of Queensland and the Queensland Department of Agriculture and Fisheries (DAF) investigating how crop roots acquire deep nutrients in dry environments and how accessing those nutrients affects yields in different crops and different seasons. In Central Queensland, researchers have been measuring the impact on crop yields of a single banding of phosphorus and potassium at depth of 20 to 25 centimetres on nutrient-deficient soils across eight trial sites since 2013. Emerald-based Queensland DAF research agronomist Doug Sands says the research was based on the relatively simple proposition that if deep soil tests revealed deficient phosphorus and potassium levels in paddocks, banding replacement nutrients at the same depth should boost crop yields. This season, one trial site is showing visually significant differences to support this theory and offers what Sands describes as "unequivocal confirmation" to growers and agronomists that deep-banded phosphorus lasts at least four years in Central Queensland soils. "It is four years since we had the first response to deep-banded phosphorus on this site and now this season we have seen a really dramatic response with a chickpea crop, although we won't know the actual data results until harvest in a few months' time," he says. "But as a researcher it is heartening because it confirms you are on the right track in terms of identifying and working to overcome nutrient constraints to productivity. "As a grower it is real evidence about the longevity of immobile nutrients like phosphorus in the soil and the lasting impact a single application can have on various crops across seasons." At the Dysart trial site, paddocks were tested at two depths (zero to 10cm and 10 to 30cm) and found to be phosphorus deficient, at which point a single banding of deep phosphorus was applied in August 2013, at a depth of approximately 25cm, at three rates - 10 kilograms per hectare, 20kg/ha and 40kg/ha. The following January (2014), sorghum was planted, followed by sorghum in January 2015 and February 2016, with chickpeas then planted in May this year. 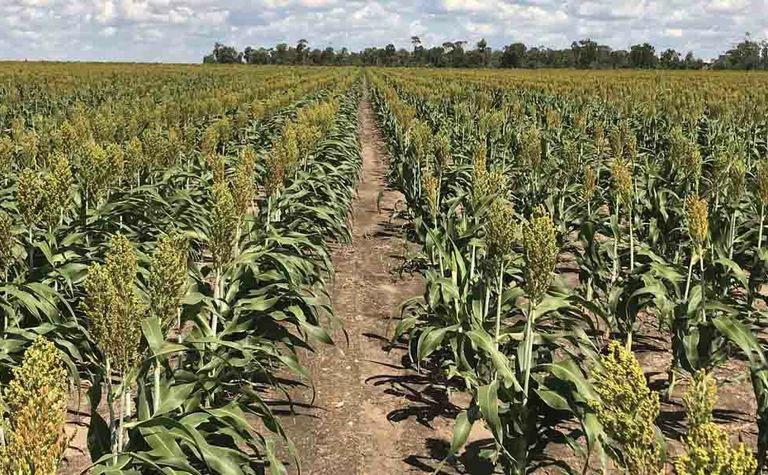 "What we have seen is, on average, a 15 per cent increase in sorghum yields on the deep phosphorus sites across the first three years," Sands says. 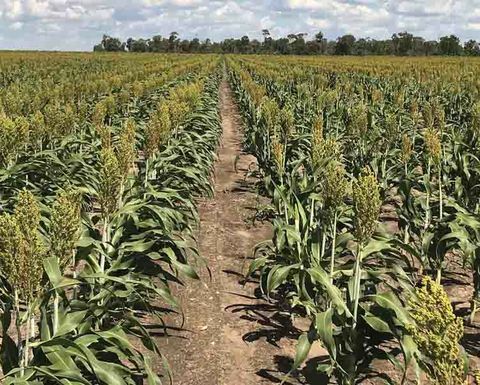 "However, last year, from a visual perspective, we could barely pick the difference between the sorghum plots; but with chickpeas this season the difference is obvious. "I don't think I have ever seen such a dramatic difference between plants that have access to phosphorus and those that don't, which goes to show the difference between species of crop." Sands says the three consecutive sorghum crops had increasingly limited nitrogen supply, so the phosphorus and potassium benefits were muted by the third year. However, with a legume such as chickpeas there was no nitrogen issue, so the residual effect of phosphorus was not masked by another limiting nutrient. This may explain the strong visual differences four years after application. He says the other clear message for growers is that the response to deep-banded nutrients varied according to crop type. "In Central Queensland, some soil types with long cropping histories are measuring low levels of phosphorus and potassium in subsurface layers, which may be a symptom of our northern grains cropping systems that rely on stored soil moisture," he says. "Crops in average seasons are setting grain on stored moisture from subsurface layers, which is typically where they also drag nutrients from at the same time." He says in a zero-tillage system there is no mechanism to return immobile nutrients such as phosphorus or potassium to these subsurface layers and over several cropping seasons they become depleted. Data collected to date suggests that mechanically banding these immobile nutrients at 20 to 25cm could provide enough supply for significant crop yield responses. "My advice to growers is to soil nutrient test at two levels - zero to 10cm and 10 to 30cm - in paddocks before starting on an expensive deep-banding program," he says. "If you are getting a result above a Colwell P of 10 milligrams per kilogram in the subsurface (10 to 30cm) your response to phosphorus may be marginal; however, if you are getting a reading below five in your 10 to 30cm soil test then it is highly probable you will get a yield response to deep-banded phosphorus. "There is always natural stratification in most soils where the surface nutrients are much higher than in deeper layers. "However, in some cases we are finding large differences between surface and subsurface layers for phosphorus and potassium, where the analysis in subsurface layers is less than 25 per cent of the surface readings. This is why the soil tests need to differentiate between these layers, otherwise you won't realise you have a problem." Because phosphorus and potassium are immobile nutrients in the soil, growers and agronomists are encouraged to soil-nutrient test every three to four years. Another factor that may influence the effect of deep-banded phosphorus or potassium is the impact of soil moisture on nutrient responses. For example, if the top 10cm of soil stays wet for most of the cropping season, plants will not need to access nutrients from the deeper layers. If crops are nitrogen-limited, the effect of extra phosphorus and/or potassium may also be muted.  Research in southern Queensland has found that putting phosphorus at a depth of 15 to 20 centimetres in deficient paddocks can boost grain yields in lower-rainfall environments by up to 23 per cent. The trial is part of a continuing research investment by the GRDC, the University of Queensland and the Queensland Department of Agriculture and Fisheries (DAF) investigating how crop roots acquire deep nutrients in dry environments and how accessing those nutrients affects yields in different crops and different seasons.  Based at seven trial sites located across the Darling Downs, Western Downs and Maranoa, the research found combinations of deep-placed phosphorus (deep-P) in deficient soils can result in cumulative increased grain yields in most crops pay for themselves following as few as two crops. Toowoomba-based Queensland DAF researcher Dr David Lester says the work was based on the relatively simple proposition that if deep soil tests revealed deficient phosphorus levels in paddocks, banding replacement nutrients at the same depth should boost crop yields. "What the research found across these sites was deep-P treatments increased grain yield in a majority of cereal crops harvested; however, pulse crop response to deep-P has been less consistent. Fertiliser management in pulse crops is an area of ongoing research," he says. Dr Lester's work also found that applying starter phosphorus as well as deep-P treatments was critical to grain yield increases. "The role of starter phosphorus in cereal grains to establish early vigour and set yield potential has been well outlined, so in this case it works in a complementary way with deep-P treatments." At the Jimbour trial site, paddocks were tested at three depths (0 to 10cm, 10 to 30cm and 30 to 60cm) and found to be phosphorus (and potassium) deficient. Hence a single banding of deep-P and basal nutrients was applied in January 2014 at a depth of approximately 20cm. Deep-P was compared at four rates: 10 kilograms of phosphorus per hectare, 20kg/ha, 40kg/ha and 60kg/ha against a nil phosphorus rate and an untreated reference plot. Basal nutrition included nitrogen, potassium, sulfur and zinc, which was applied to all deep treatments, primarily to ensure that other nutrient limitations did not obscure the response to applied phosphorus. The following May (2014), barley was planted, followed by mungbeans in January 2015, sorghum in January 2016 and chickpeas in June 2017. "What we have seen is an 18 per cent increase in cumulative yields on the deep-P sites across the four years, compared to common grower practices," Dr Lester says. The economics of different treatments over time will depend on environment, rainfall, soil type, crop choice and frequency, with higher rates having higher upfront costs but also expected to have a greater duration of responsiveness. While 20kg and 60kg/ha of phosphorus have currently provided similar increases in gross margin, 60kg/ha costs $140/ha more upfront but over the four years has generated approximately $150/ha more in returns. The GRDC and Queensland DAF have developed a Deep-P Calculator, which continues to be a valuable resource for growers to assess the long-term implications of fertiliser strategies for growers. "As researchers, these results are encouraging because they confirm we are on the right track in terms of overcoming nutrient constraints to productivity," Dr Lester says. Dr Lester says the trial responses also indicated there were benefits to the combination of deep tillage (narrow shanks at 20cm deep on 50cm spacings) and additional basal nutrients (nitrogen, potassium, sulfur and zinc), with deep-placed phosphorus providing additional benefits. "In order to get best results from nutrient applications in soils with multiple deficiencies, soil testing is critical for the development of an integrated nutrient management approach," Dr Lester says. "On the Darling Downs some soil types with long cropping histories, irrespective of fertiliser programs, are measuring low levels of phosphorus and potassium in subsurface layers. "So it is critical that growers soil test to depth to ensure they understand paddock deficiencies and have programs in place to counteract them in terms of nutrient application." Data collected to date suggests that banding these immobile nutrients at 15 to 20cm can provide enough supply for significant crop yield responses. "My advice to growers is to soil-nutrient test and use test strips to evaluate the practice for themselves before starting on a large-scale, expensive deep-banding program," he says. "Depending on the soils' ability to replenish Colwell P pools, a soil Colwell P result above 10 milligrams per kilogram in the subsurface (10 to 30cm) may result in a marginal phosphorus response. However, a reading below five in that layer significantly increases the probability of a yield response to deep-banded phosphorus. "If you start measuring yield benefits to deep-placed phosphorus, growers then need to reassess their nitrogen management to keep pace with higher yield potentials." Because phosphorus is an immobile nutrient in the soil, Dr Lester says, growers and agronomists are encouraged to soil-nutrient test every three to four years.